The Eco Coco use the most pure, revolutionary and advanced ingredients. 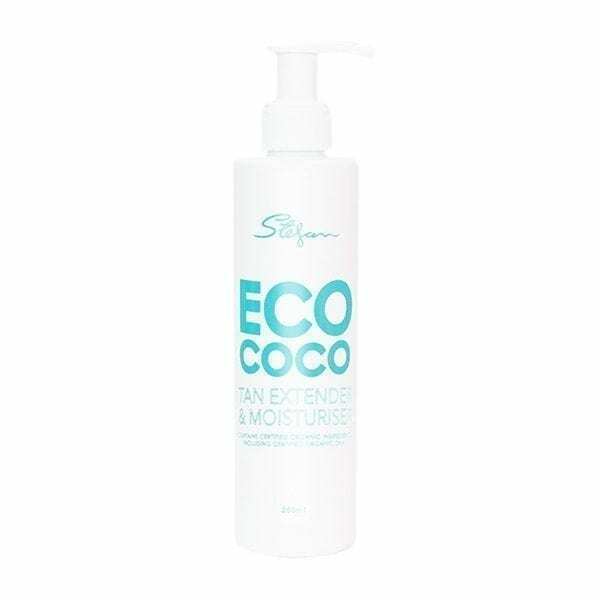 The Eco Coco Tan Extender & Moisturiser contains natural and Certified Organic ingredients. The DHA tanning ingredient is Certified Organic and will gently extend the life of your tan for up to 7 days. Enriched with Certified Organic Coconut Oil, this Tan Extender & Moisturiser not only gives you a healthy glow, it will also hydrate and moisturise your skin from head to toe. NATURAL | CRUELTY FREE | CONTAINS 100% CERTIFIED ORGANIC COCONUT OIL. Simply massage all over body from head to toe to maintain a soft, natural glow. Great as a daily moisturiser too!